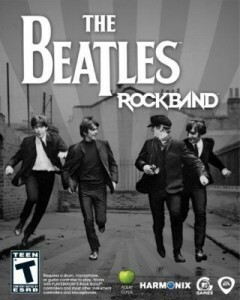 I haven’t had a chance to play, but I hear The Beatles Rock Band lives up to the awesome intro video I enjoyed a few weeks back. We’re planning to jam this weekend, but I was curious to know what songs were available. After finding out, I figured others might want to know more info too, so I put together a song list for The Beatles Rock Band of what’s available now and what will be available via downloadable content later. I had the intent on linking to individual mp3 purchases since I often find myself wanting a copy of music from video games for listening even when I’m not playing. Unfortunately I was reminded that The Beatles aren’t available for legal download anywhere yet. *sigh* Oh well, I’ll update the page when iTunes finally offers them. In the meantime you can purchase the actual CDs (I know, physical media, right? ick) or acquire the songs through various other means. If you still haven’t picked up The Beatles Rock Band, Amazon’s got it for $53.99-56.99 depending on your console (Xbox 360, PS3, or Wii). That of course is just the game and not the custom wireless guitar controllers they made which you can pick up for $99 apiece or get them in the Limited Edition Premium Bundle. Or you can always hit eBay for cheaper prices.